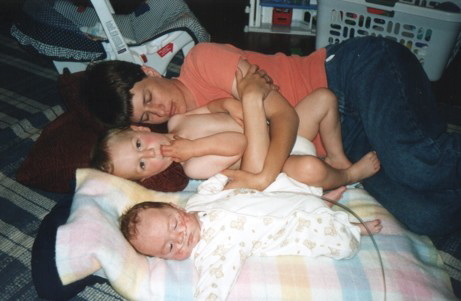 Here’s my messy truth: soon after my son Aidan was born thirteen years ago I wished he would die. Aidan was born with complex medical needs and spent the first three months of his life in the neonatal ICU. When he came home on oxygen and with a g-tube, without a diagnosis, prognosis or any medical staff to reassure us, I just wanted him to die quickly. It’s such a horrid, shameful thought that I carried my secret burden alone, not even sharing it with my husband. I was lonely, overwhelmed, exhausted, and scared. Because of Aidan’s medical issues, I couldn’t feed my own child nor did he even have the ability to gaze at me or coo in response to my voice. He was a stranger, really, hardly present. Those blissful feelings of maternal love were nowhere to be found, though I faked them well enough and smiled proudly at my son in front of others while grieving and hiding in a fetal position at night. I wanted him to die, not because of who he was, but because of who I was – a mistake of a mother. I felt responsbile for him, obligated to try to love him, but all of that pressure just left me a sinking ship, weighed down by shame and failure. She didn’t know my secret because I told her; she knew it because she lived it. That friend set me free that day and gave me just enough hope for the next. I’m thirteen years into raising a child with a disability and I’m not that same traumatized mom I once was. Sure, it’s still draining and sometimes lonely and scary. I wonder if I’m making the right choices in fighting his seizures. I wonder if my inconsistancy is holding him back from being more independent. I haven’t changed any laws, written policies, nor started a foundation. But I’m sharing my messy truth today in hopes of setting someone else free. You are not alone. You are living a seemingly unbearable moment. You are allowed to be overwhelmed. Your pain and grief is real because it’s yours. You are not a mistake, and neither is your child. My willingness to step into fear and push boundaries and learn new things and support other parents and get involved and love this incredible child has changed me. The hard work of finding my way has been messy, rarely easy, but always worth it. The truth is I can’t imagine my life without him because, really, isn’t he beautiful? This post is part of the Messy, Beautiful Warrior Project, a blog link-up for the paperback release of New York Times Bestselling memoir, Carry On Warrior: The Power of Embracing Your Messy, Beautiful Life by Glennon Melton of Momastery. I found you on Momastery…I wrote for her today too…isn’t she wonderful!? Anyway, I don’t have a child with a disability, but your words really spoke to my heart. This motherhood thing is no joke, and we all have our struggles and painful truths. Thank you for sharing yours. Oh I’m so glad you shared this because, yes, motherhood for everyone is no joke. Thanks for stopping by. Aidan IS beautiful. His smile and blue eyes are heartwarming. Thank you for sharing your beautiful messy life with him. Cheers! Thank-you! I’m a sucker for those blue eyes. Thank you for sharing. When a special needs child enters your life, at first, you think only of what you’ve lost, what you will lose – but then you realize, someone has opened a secret passage way and a whole new world it out there, one you might never have visited. Some may say the price of admission was high but you know, don’t you, that its a very special place to be filled with very special people who do very special things. 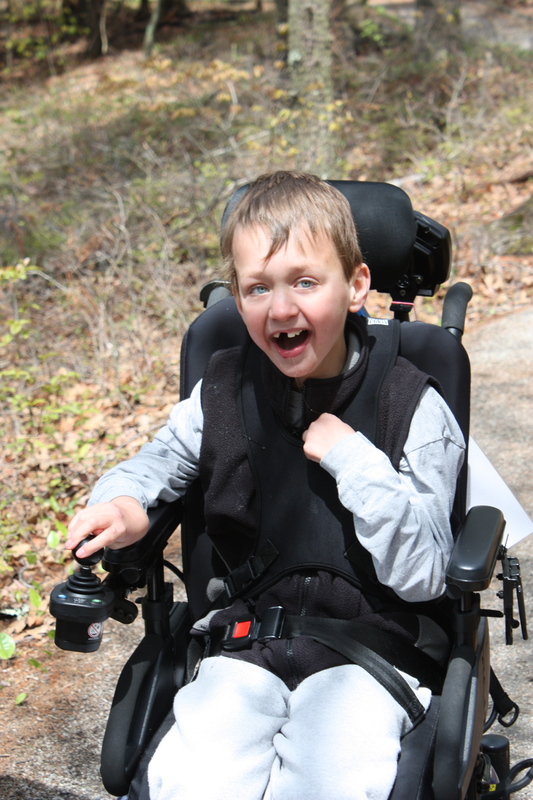 Aidan is beautiful – thank you for loving him. YES! This is very much where I am now after the initial trauma. It really is a whole new world with wonderful blessings. I found you on Momastery. I submitted a post there today, too! My son also spent 3 months in the NICU after he was born. And while his needs are slowly leveling out, the experience changed me. I found strength where I didn’t know I had it and that was a real eye opener for me. 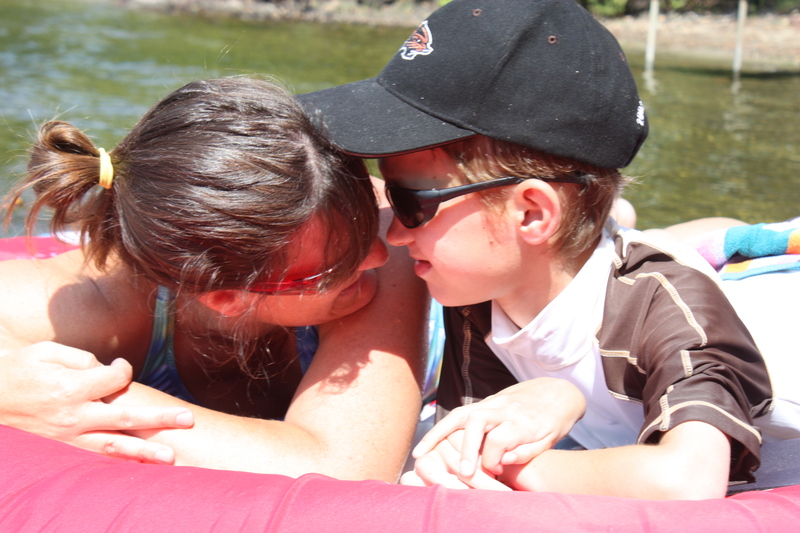 Thank you for being honest – raising a child with a disability or extra needs is not easy. You do good work, mama. To you too! That surprise strength is something else. You are not alone! Thanks for the encouragement. We so often suffer in silence because we’re so afraid that no one feels the way we do. But almost every time we open up we discover that we’re far from alone. Thank you for your beautiful honesty! Silence is so hard and it really is so freeing to open up which is why I wrote this. Thanks for reading. It’s so lovely when those who are ahead of us reach down and help us up… I am so glad your friend was. Vulnerable with you. She really and truly changed my life, set me free in such a foundational way. I wrote this today in hopes of doing that for someone else. Thanks for the encouragement. Wow. That first sentence. And several thereafter. They were really, really hard to read. I can’t imagine how hard they are to write. You’re an honest writer and a brave woman. This is the essence of brutiful. Thank-you so much. It was hard to write but also such a gift to share. Yes he is beautiful! Thank you for sharing your story today! I am the mother of a 16-yr-old daughter, Ginny, who was born with Spina Bifida. She has a shunt, a trache, a feeding button and on a ventilator at night, She has been through the local children’s hospital ER 118 times, 20 surgeries and 50 hospitalizations. When she was very small, I would stare at her and cry and pray – GOD, am I selfish or a good mom when I ask you to end her pain? I never told anyone that the thought that had crossed my mind and was sure I would go to hell for even thinking it. We have been through ALOT and I wouldn’t change any of it. She is such a beautiful girl. Been on TV,, magazines and billboards advertising the building of a new hospital here. She has been a regular for 9 years on a telethon for the hospital. She is constantly being asked to attend banquets and hospital functions. Very social and definitely a “chatty Kathy”! Love her so much. Still have some emotional issues. Feel like I am not fulfilling my destiny because I have not written a book or started an awareness campaign or anything. I am getting over it. GOD Bless you and he is absolutely the cutest little boy!! Oh my word. I’m so glad you shared this. It really does feel good to know I’m not alone. Thank-you for your story. To me, that feeling of being in this all alone is the worst part of the whole thing. Everyone else’s life goes on as normally as it did before. Not ours! Nice to know there are other people who understand and have the same feelings I do. And a very happy birthday to YOUR special and remarkable mother born on this day. Thank-you so much for this encouragement. It’s tough stuff and we certainly each have our own valuabe story and I really do hope to set people free with this. He is beautiful, and so are you! Brave and strong, too, the both of you (all of you!) Thank you for having the courage to share! (Why do I feel like I’m in an AA meeting or something?! ;)) Seriously though! Thank you! Thank-you so much for this encouragement. Connecting with each other really is powerful. This is one of the most beautifully honest pieces I have read. I found you through your Momastery link. Everyone prepares you for the rainbow and unicorn thoughts and feelings you are supposed to have when you become a mother, no one tells you to prepare for some of the dark thoughts. I hope others find you, those in situations like yours. I have a son with sensory issues. When I found a friend whose son has Aspergers, it was such a relief to be able to say, “Do you ever have that moment when you bite your tongue until it bleeds because you want to scream,’Why can’t you be normal? '” and she responded, “More than I’d like to admit.” There is such comfort in finding those in the same boat. Thank you again for your honesty!!! Yes! Exactly! The been there done that people are essential in our lives. Thanks for reading! He is SO beautiful. And you are a marvel for telling the truth. We lost a daughter 4 years ago due to a complicated heart/lung issue, and we accept that she would have a miserable quality of life if she were still with us today. She would most certainly be permanently ventilated, unable to walk, and destined to undergo painful surgeries for years to come. We want our children to be healthy and free of pain. There is no shame in wanting what is best for your child, even if it is death. Of course, if she were still here, we’d do our best to take care of her and keep her happy. Wow, I’m humbled. Thank-you for this. You’re welcome. I find that, as parents dealing with the unthinkable, we are part of a non-exclusive club no one likes to talk about. It’s helpful to know there are other people out there with the same thoughts. This is a beautiful essay. I cried, I held my breath, and then I smiled with you at the end. Yes, your son is beautiful. And so are you for sharing your truth so that others may know that they are not alone. I do not have a child with a disability, but your words touched me deeply. I found your post because you read and commented on the blog I wrote for Momastery and I clicked on your link. . . There goes Glennon, again, helping people find each other and make friends through honesty. Thank-you for your encouragment, and yes, it’s been quite amazing reading all of these posts. Doing life together, belonging to each other, no matter the circumstances is quite powerful. God bless you. He is handsome. our lord has plan . Your pictures. So beautiful. I was doing okay until I saw them, and then… He is beautiful. You are beautiful. Thank you for sharing your messy beautiful. Thank you for being you. Heather, what a journey! I remember those early days when he was born, praying non-stop for him and you, not knowing what else we could do or say to help you. He is nothing short of a miracle. Your strength is an inspiration. I am so glad that you shared your secret feelings. You are brave and I know that sharing it will help other mom’s. God is watching over you all and I pray for special blessings to come your way! Thank you for sharing your truth. I would never bash that or judge it. Some people pray for their own average child to die for their own ugly reasons. Just sayin’. 1. Aidan is in fact NOT beautiful. He is handsome. You know he’s sayin’ MOM! I am NOT A GIRL! Stop calling me THAT!